Yes, it was completely unexpected on an evening walk in the park. There had been an ‘Arts and Wind Festival’ over a holiday weekend and this display was pretty much all that was left standing as I walked by. Thank you. I delight in hearing this. Thank you, glad you enjoy the image. Beautiful and graceful forms! Reminds me of flag bridge. Thanks for mentioning flag bridge, I can see those flags in my mind’s eye as I read your comment. 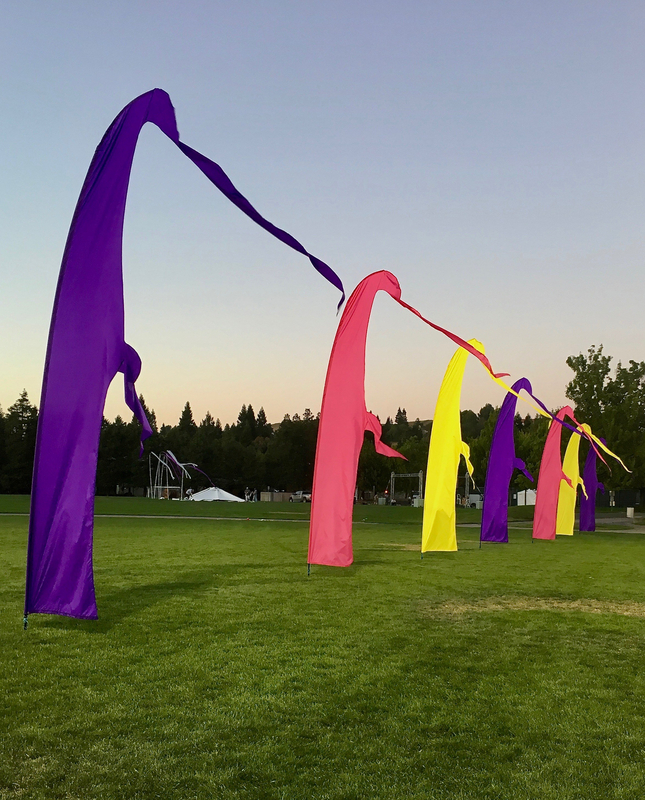 These make me smile….dancers in the wind! I like that you see them this way and they make you smile. They were fun to hang out with! Thanks for stopping by and commenting. Hi I love these! Reminds me of the flags at the Planetary Dance! Thank you Ryl. I love hearing that these forms remind you of the flags at the Planetary Dance.